Prayer cannot be spent on the self! To be effective, it has to be selfless. Churches that invest all of their prayer energy on themselves see prayer results dry up, whether the energy of prayer is on ‘prayer requests’ or even the growth of their own church. Prayer is a gift. And it must be given away. Turn prayer outward. Every church needs a mission field that is first prayed over – one near, and one far. One near that you can see and touch, smell and experience. One in which you can make a regular difference. And one far. Adopt a nation for prayer. Do prayer walks. Prayer missions. Appoint Prayer Ambassadors to the neighborhood. Mark off some territory around your church. It may only be a block – or ten blocks. Or a square mile. Get educated. Who lives near your church? What are the needs? What is the crime rate? Map the area – the demographics, the fire station, two corner grocery stores, an apartment complex, 73 single-family houses, 4 abandoned buildings, 14 properties for sale, etc. Is the area growing, new, declining, safe? How many churches are there? Are they larger or smaller than you? Would they partner? Have you met their prayer leader? What if you launched a ‘Churches are Good Neighbors!’ campaign. What are the community needs that you could meet? Do a drive by sample on Sunday – how many of the folks in your defined mission field attend church? What is the harvest potential right around you? The population times 15% is a reasonable harvest potential number. Read the newspaper and find out what is happening in your area. How many of your members live in this area? If the answer is ‘0’, the church should still be a good neighbor. Ask the Lord to help you get acquainted with your neighbors. Remember the words of Jesus, “Love your neighbor!” is not an option. Move from prayer – to care. And then look for open doors to share the gospel. Pray 4 Every Home creates a personalized prayer list of nearby neighbors and a map of your area.Your church can also register to obtain information for a church-wide prayer movement. 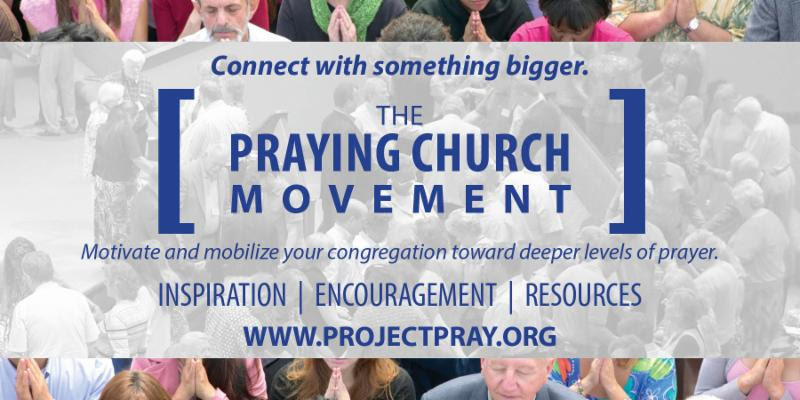 The Praying Church Movement offers resources and information to propel your church prayer ministry. Registration is free or become a premium member for even more value and access to monthly bonus resources. 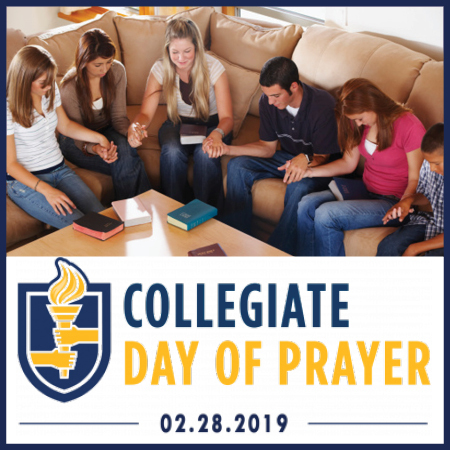 A united, multi-generational day of prayer for revival and awakening on college campuses in America. There are 4873 campuses that need someone to pray. Doug publishes a weekly blog with thoughts, commentary and writings.